PPACA has been called the most influential health care legislation since Medicare and Medicaid was signed into law in 1965 (1, 2). PPACA’s regulatory and legislative roots reach deeply into health delivery workflow, record keeping, data-reporting, scheduling, contracting, billing, payment, referrals and scope of practice. What does all this mean to new graduating physicians just entering the practice of medicine? Providers enter medicine in an era of change. Medical school faculty and now senior mentoring physicians tell us how doctors practiced in the past with little government bureaucracy and regulation. Yet, PPACA indicates that records of outcomes will evidence future public judgment and payment for professional medical treatment, sustaining patient wellness and disease prevention. Fortunately, the new physician need not climb a steep learning curve to adjust. Graduating medical doctors began learning on the electronic medical record, simulation robotics, research on electronic applications, iPad®, laptop, and value-based payment systems to name a few. In a sense, they are the rookie pilots of a new medical era. What they do now will help cement or change the standards as proposed or hoped in the PPACA of March 2010. The Congressional Budget Office (CBO) estimated that by 2017, 26 out of 47 million uninsured will sign up for the ACA coverage (3). The remaining 21 million represent 6% of Americans. By the time new physicians graduating in 2014 start practicing medicine independently, 94% of patients should have some form of insurance. On the other hand, 26 million previously uninsured patients will enter a reformed health care system having not seen a physician before obtaining insurance coverage. The Kaiser Health Foundation estimates that there are 834,769 active physicians in the U.S. in 2012 (4). Taking into account no anticipated increase in the physician supply of specialists or primary care, very generally speaking, each active physician may take 31 additional patients in 2017. One may argue that the health status of the 26 million previously uninsured patients between ages 18-35 years old may not require the medical care of the elderly or poor who obtain coverage from expanded Medicaid or Medicare (9). However, many older physicians are heading toward retirement due to PPACA’s higher demands on measures and data reporting. In addition, qualified insurance plans require wellness and preventive visits, so younger physicians still face increased patient load. The Association of American Medical Colleges (AAMC) estimates a national physician shortage of 91,500 by 2020 (5). To alleviate this, PPACA legislation encourages states to expand the scope of practice for mid-level providers, such as nurse practitioners, physician assistants, CRNAs and nurse midwives by authorizing grants for educational expansion for mid-level providers. Mid-level practice replacement or assistance is essential to relieve physicians from the projected heavy load of direct patient care along with wellness and prevention. However, as much as “markets” and clinic businesses may prefer to replace physicians with mid-level providers for purposes of cost, convenience and accessibility, this may be a precarious step. For instance, 17 states no longer require physician supervision for certified registered nurse anesthetists (CRNA), and allow them to practice anesthesiology independently (6). While the mid-level reimbursement may lower cost, the impact on quality control and improvement is a risk. Historically trained to work as a team, both physicians and mid-level providers are irreplaceable during patient care. Furthermore, while adding costs to patient care through electronic data reporting for quality measure compliance, but keeping reimbursement at current levels, PPACA effectively decreases the value of Medicare reimbursement to providers. PPACA also incentivizes states to expand Medicaid eligibility to people with income up to 133% of the Federal Poverty Level (FPL). Medicaid reimbursement varies by state but generally pays less than Medicare. For each Medicare and Medicaid patient, the providers receive less than amounts paid by commercial insurance. Consequently, providers’ costs rise with Medicare and Medicaid resulting in lost marginal value. From a business standpoint, in order for providers to generate income while increasing the volume of reporting quality data and measures, physicians need to see more patients and develop workflows providing more information in less time. Physicians may feel pressure to see the next patient hoping to make a personal connection. The new physician has a choice and a balance to achieve, the scales of quality and volume, the meaning of personal connection and the care that patients expect. All of this is contained in the Hippocratic Oath (8) and the physician’s personal engagement in the profession, not in PPACA. Yet these are the rules under which new physicians emerge from medical school. Some things, PPACA cannot change. 3. 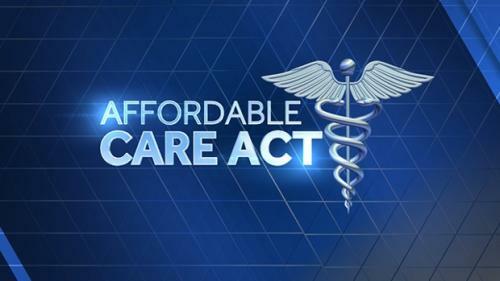 Congressional Budget Office: CBO Report Lowers Cost Projection for ACA by $104B. California Healthline, April 15, 2014. 6. Fields, R: 17 States Opting Out of the Physician Supervision of Anesthesia Rule http://www.beckersasc.com/anesthesia/17-states-opting-out-of-the-physician-supervision-of-anesthesia-rule.html, . Becker's ASC Review. May 30, 2012. 7. Barnett, S., Pollak, E: Measuring Quality of Care: A Call to Action. https://www.asahq.org/For-Members/Publications-and-Research/Newsletter-Articles/2014/February-2014/measuring-quality-of-care-a-call-to-action.aspx, American Society of Anesthesiologists 78:2. Feb 1, 2014. 8. Lasagna, L: The Hippocratic Oath. The School of Medicine at Tufts University. Dr. Melissa Zhu Murphy recently received her MD from Texas Tech Paul L. Foster School of Medicine and her MPH from University of Texas School of Public Health. She will be an incoming anesthesiology resident at Vanderbilt University Medical Center. Dr. Steven M Wagner is a clinical instructor for health care finance, policy and administration and managing director for the faculty practice plan at the Texas Tech Paul L. Foster School of Medicine. Dr Wagner is a research fellow at the Centers for Healthcare Research at the School for Advanced Studies at University of Phoenix and a Faculty Instructor of Healthcare Administration at Independence University, an institution of the Centers of Excellence in Higher Education. Your research reveals valuable insights to the pressures facing new physicians. The reduced reimbursement levels and need to see more patients could perpetuate the "medical hamster wheel" that many doctors perceive is their day in the office. Perhaps more needs to be done to modify the fee mix to emphasize coordination of care fees for primary care doctors and incentive payments for achieving quality goals?